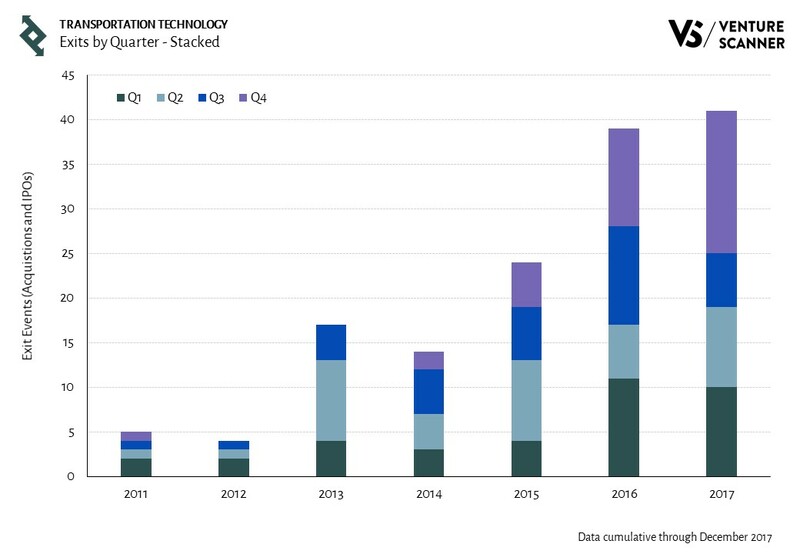 This graph illustrates that transportation tech funding saw explosive growth at the annual level. Specifically, the funding in 2017 was 193% of that in 2016. In addition, the CAGR in funding amounts from 2012 to 2017 is an astonishing 103%. We have seen that transportation tech funding is showing strong growth, but what about the total number of deals? 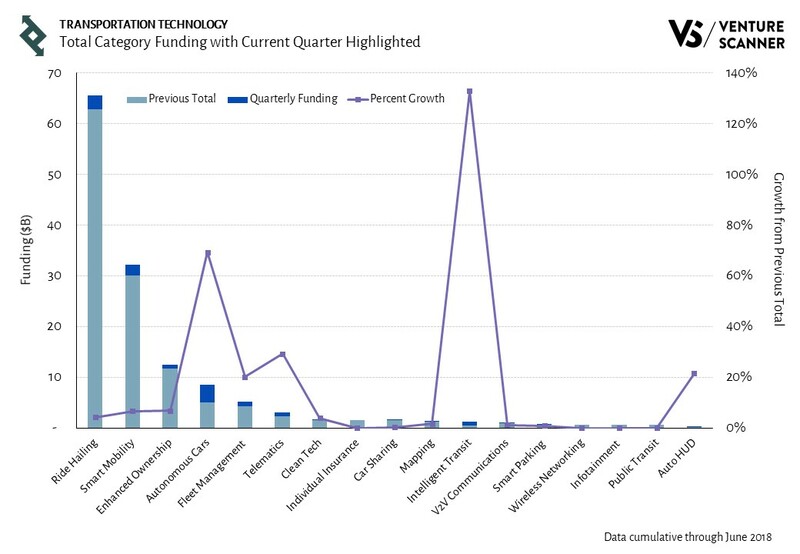 The following graph shows us the annual number of transportation tech startup funding deals, stacked by quarters. 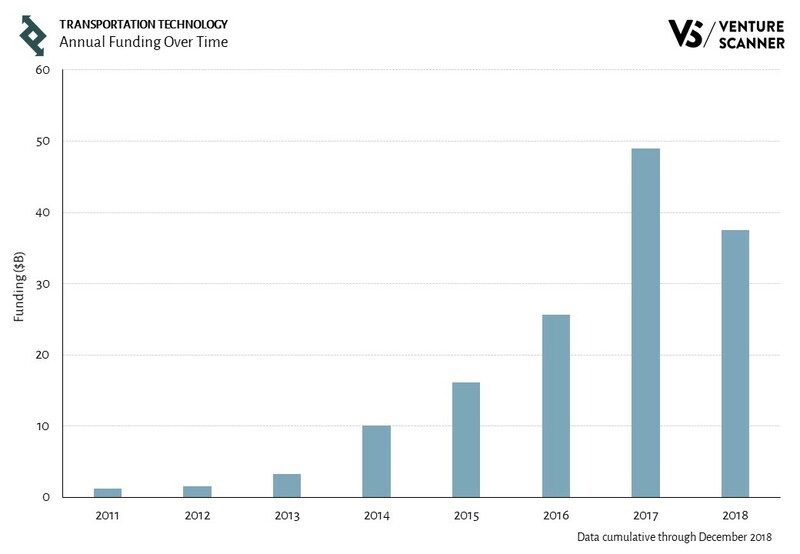 The above graphic illustrates that the number of transportation tech funding events increased steadily over the past few years. In fact, the CAGR in funding events from 2012 to 2017 is 18%. Moreover, the last 4 years have seen more than 300 funding events in each. We have seen that transportation tech funding amounts skyrocketed and its funding events have shown overall steady growth. Let’s now analyze the investor interest in the sector to complete the picture on the state of transportation tech investments. To gauge how investors are feeling, let’s look at the total number of transportation tech investors who participated in each financing round. 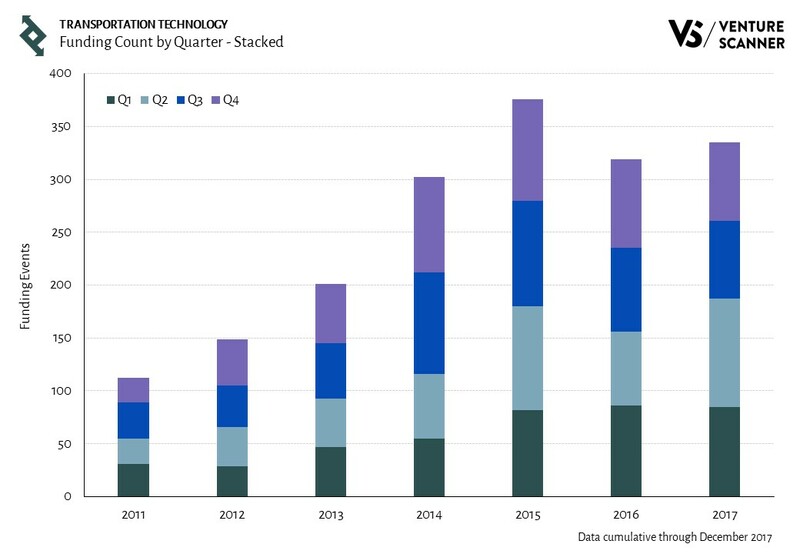 This graph shows that transportation tech investor interest has been on a general upward trend for the past few years. The CAGR in the number of participating investors from 2012-2017 is 25%, and the 2017 total has increased from the 2016 total by 20%. In summary, the above graphics show that Transportation Technology funding amounts grew exponentially year over year. In addition, both its funding events and investor interest have been on a general upward trend as well. These takeaways lead us to conclude that transportation tech funding has experienced significant growth over time. The large growth in funding amounts paired with a steady count in funding events implies that the average deal size is growing. It’ll be interesting to see if this trend continues in 2018. 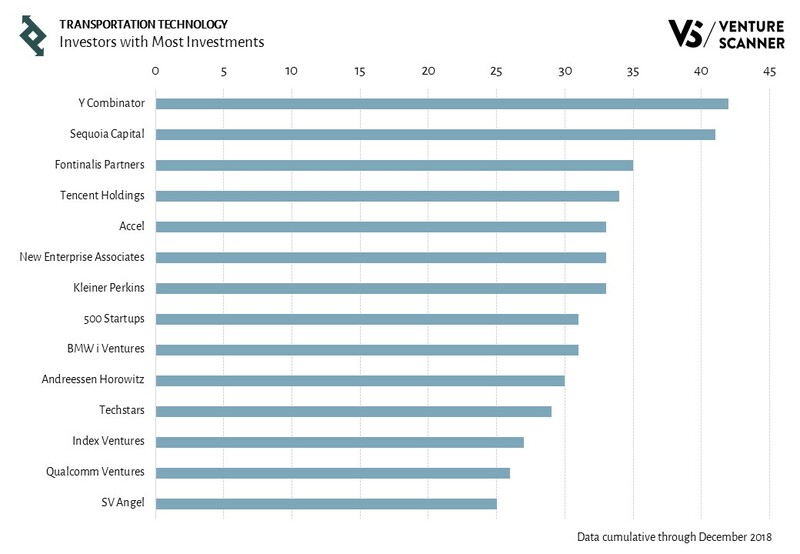 To learn more about our complete Transportation Technology research platform, visit us at www.venturescanner.com or contact us at info@venturescanner.com. Let’s start off by examining the transportation tech exit events from 2011 to 2017. Exit events include both acquisitions and IPOs. 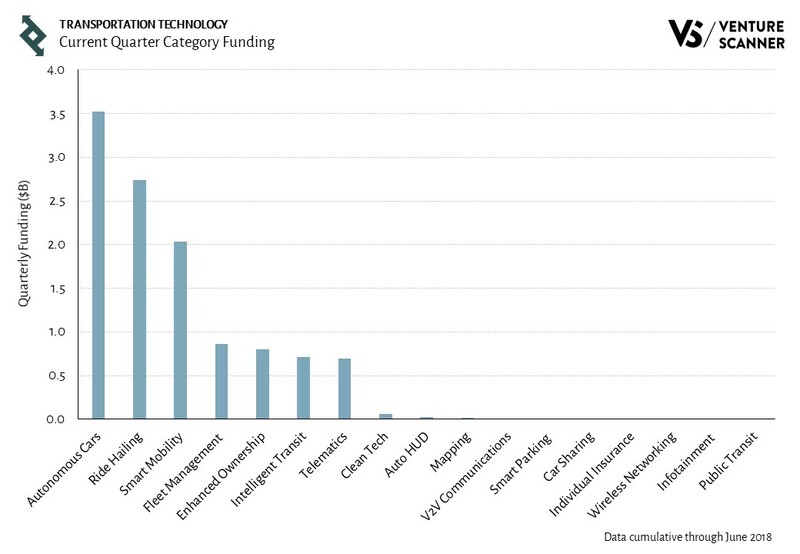 The below graph highlights the number of transportation tech exit events by year stacked by quarters. 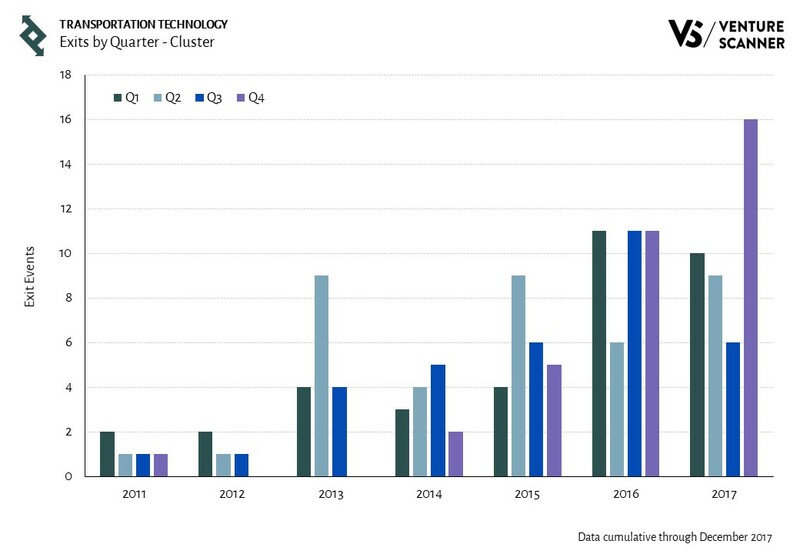 This graph illustrates that Transportation Technology exit activity is showing strong consistent growth at the annual level. Specifically, the CAGR in exit activity from 2012 to 2017 is 59%. In addition, the number of exits in 2017 was 105% of that in 2016. Let’s now see if the exit activity’s growth trend holds at the quarterly level as well. Let’s now look at the graph of transportation tech exit events by quarter. 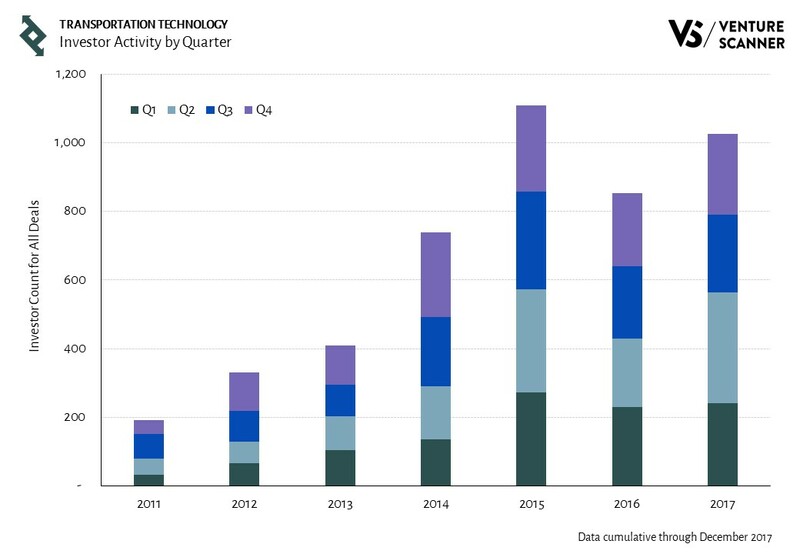 The above graph shows that transportation tech exit activity is on an upward trend for most quarters. As expected, there were some outlier spikes and dips from quarter to quarter. 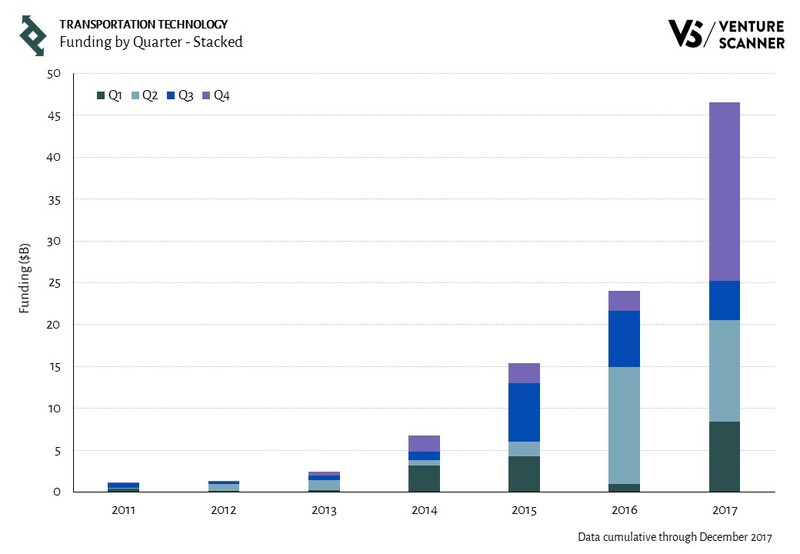 In summary, we can conclude that transportation tech companies are getting acquired and going public at an increasing pace over time–both at the annual and quarterly levels. It’ll be interesting to see if this trend continues in 2018.